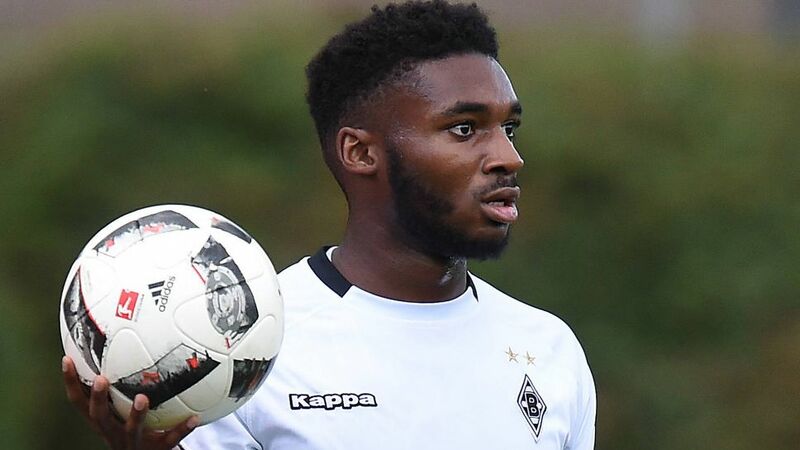 English defender Mandela Egbo was named in Borussia Mönchengladbach's first-team squad for the first time on Friday night, with the Foals losing 2-0 away to Eintracht Frankfurt in the Bundesliga. The 20-year-old joined the Foals from Crystal Palace in July 2015, but he has been gathering experience in Gladbach's reserve team over an injury-hit first two seasons in Germany. After impressing coach Dieter Hecking in the summer, Egbo has now forced his way into the first team reckoning, and took a place on the bench in Frankfurt. "I told the lads that there will be moments when they have got to show me they can mix it with the professionals, and Mandela impressed me," Hecking said after taking a look at the England Under-20 international in a friendly win over Duisburg in the summer. Friday night's appearance in the Foals' 18-man matchday squad was the first of what Egbo hopes will be many, as his patience and persistence in training paid off at a club where he has big plans. "I'd read that the chances of coming through a club into the senior team were higher here than anywhere else in Europe’s major leagues, and obviously they are world champions and their entire system is aimed at youth development," Egbo told The Guardian shortly after moving to Germany. "They saw me playing on the international stage and, after meeting the sporting director, the academy manager and the head coach, it was a no-brainer."